Simple syrups are a great addition to your pantry. They can be used to flavor and sweeten fruit salads, brushed on cakes to add some moisture or mixed with wine to poach fruits. When it comes to beverages, adding a splash in bubbly water or cocktails will add some depth to your drinks. They easily keep up to a month in the fridge, that is… if they last that long. In a medium saucepan mix the water and sugar, bring to a boil. 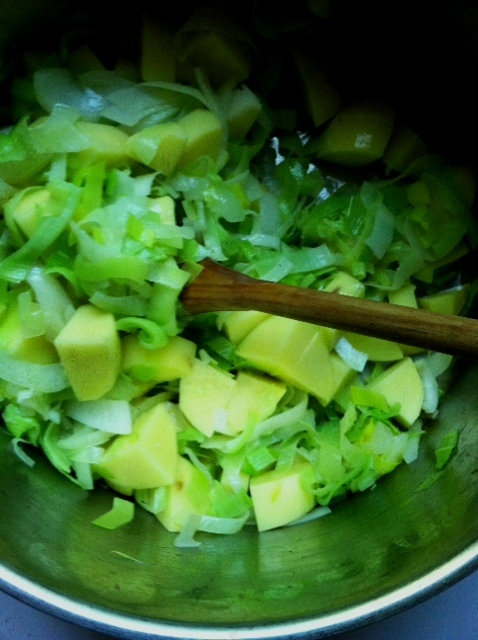 Reduce the heat and simmer fro 8 minutes, mixing a bit to make sure the sugar dissolves. Add the herbs, turn off the heat and cover. Let sit for an hour. Put a fine mesh strainer on top of a bowl and strain the syrup, pushing the verbena with a spatula or wooden spoon to get as much of the flavors from the herbs. 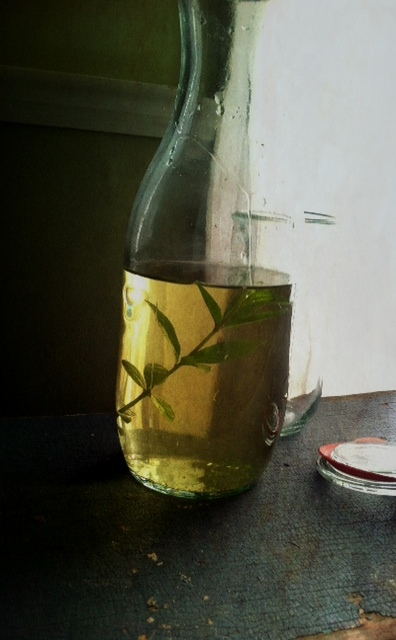 Transfer into a clean bottle or mason jar, label and refrigerate until ready to use. 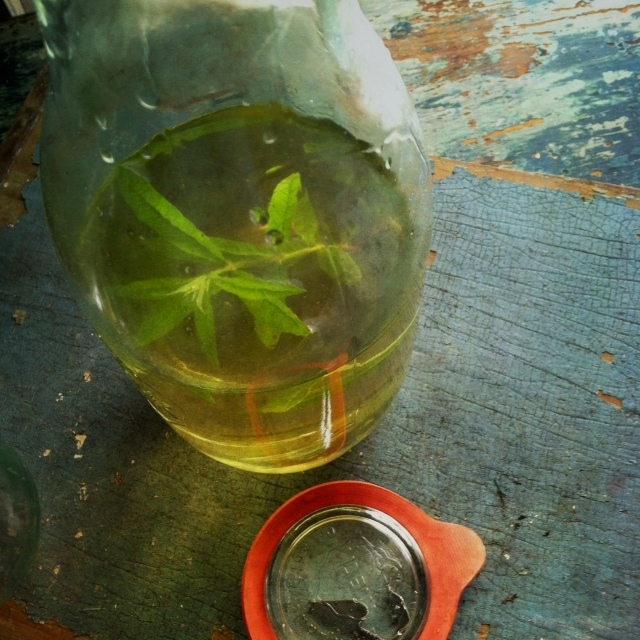 NOTE: If you want a regular simple syrup, omit the herbs. 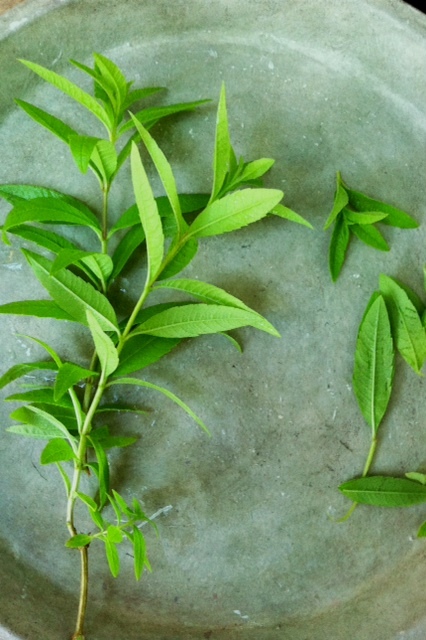 You can also substitute the verbena for mint, lavender leaves or basil; zest of one lemon, orange or lime or 2 tablespoon of chopped fresh ginger. For a syrup with a bit more depth, use sugar in the raw. 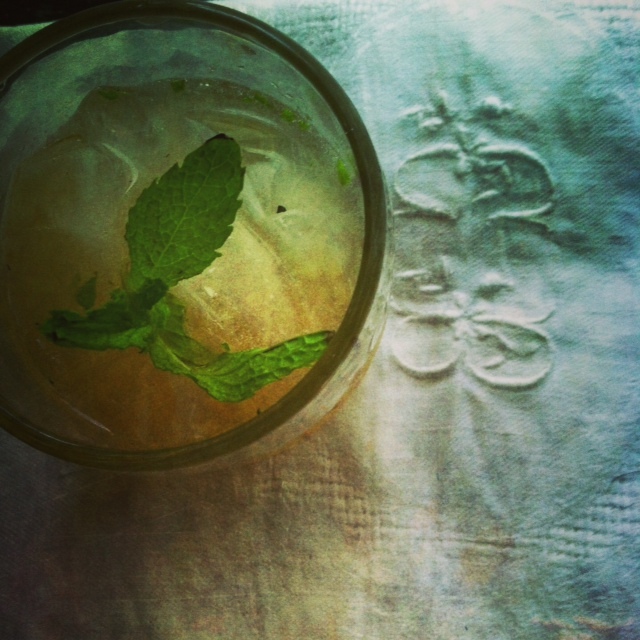 Instead of a clear syrup you will have a brownish looking syrup that will also change the look of your drink . 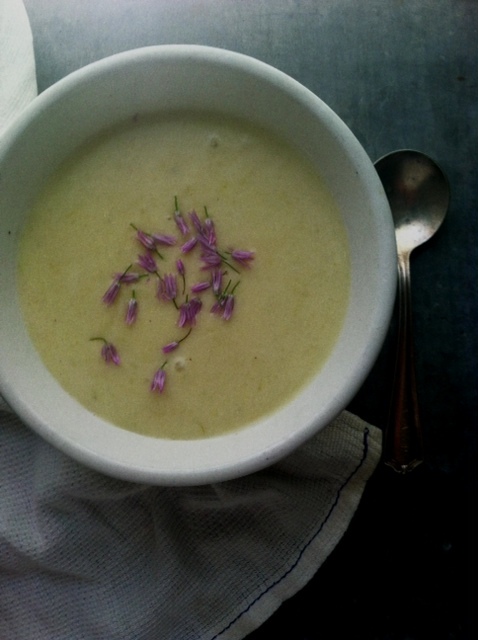 Here is a cold soup to add to your menu for the hot summer days ahead. 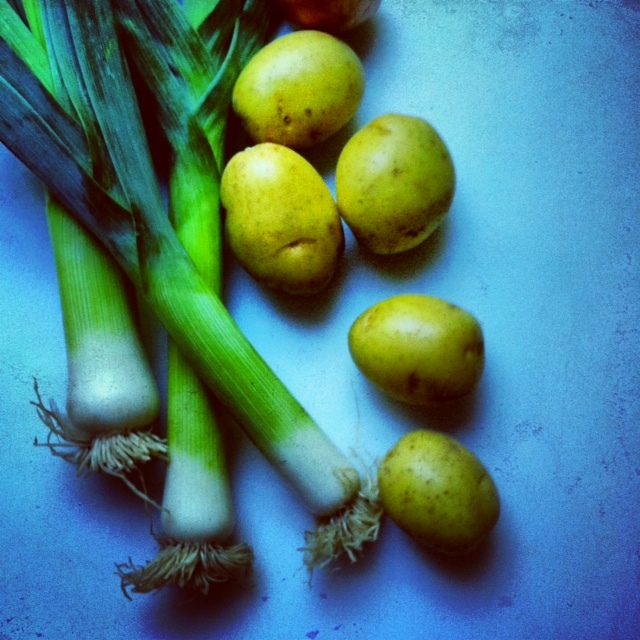 The subtle onion taste from the leeks and the creaminess of the potatoes makes it a favorite either as a first course on a hot summer night or as a main meal for lunch in the garden with a tossed salad and a nice cheese platter. 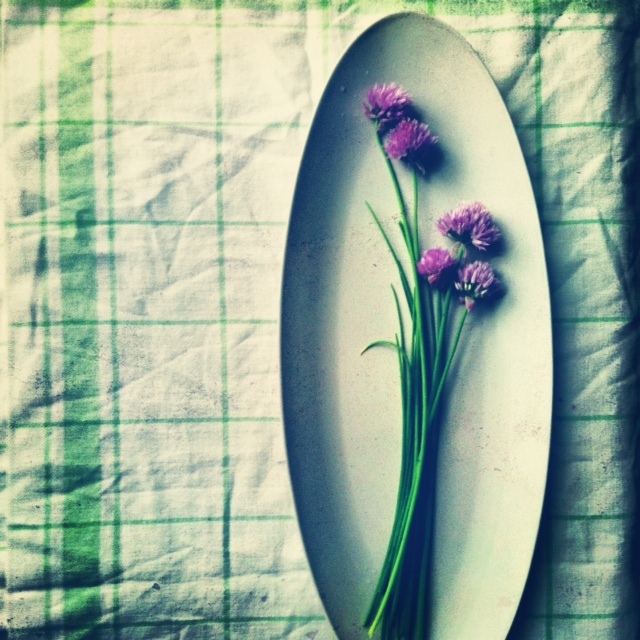 I like to garnish it with chive flowers when they are available in the early summer days and the rest of the year with fresh chives. In a heavy saucepan melt the butter with olive oil. 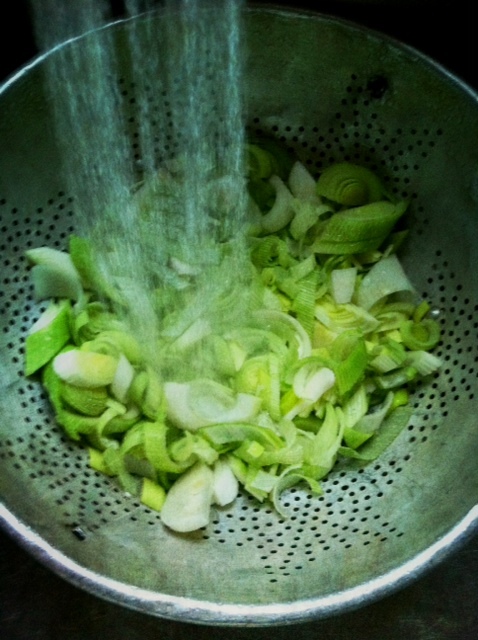 Add the leeks and onion and sauteed until wilted, about 3 minutes. Do not let the mixture brown. Add the potatoes and give a good stir to mix all the ingredients. Add a pinch of salt and the stock. 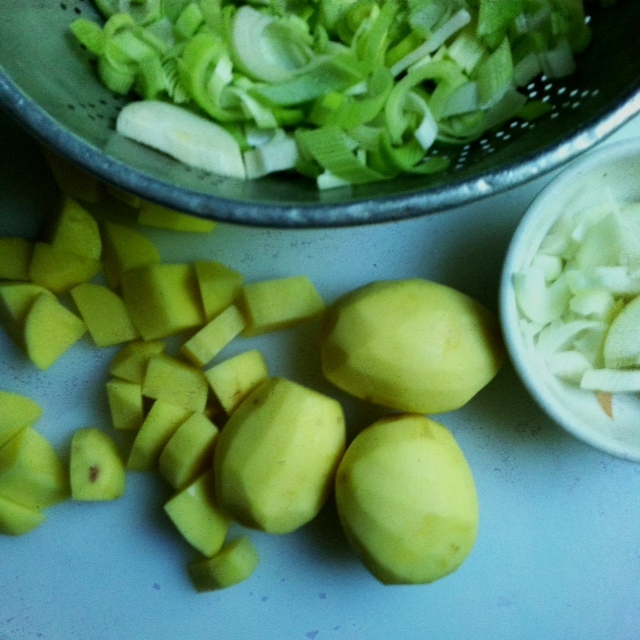 Bring to a boil, reduce, cover and simmer until the potatoes are done; about 20 to 30 minutes. When the potatoes are done turn the heat off and let the soup cool to room temperature (about one hour). When cool process to a fine purée with an immersion blender or a food processor. Cool completely in the refrigerator for about 4 hours. Add the heavy cream. Season to taste and serve. Garnish with the flowers or chives. 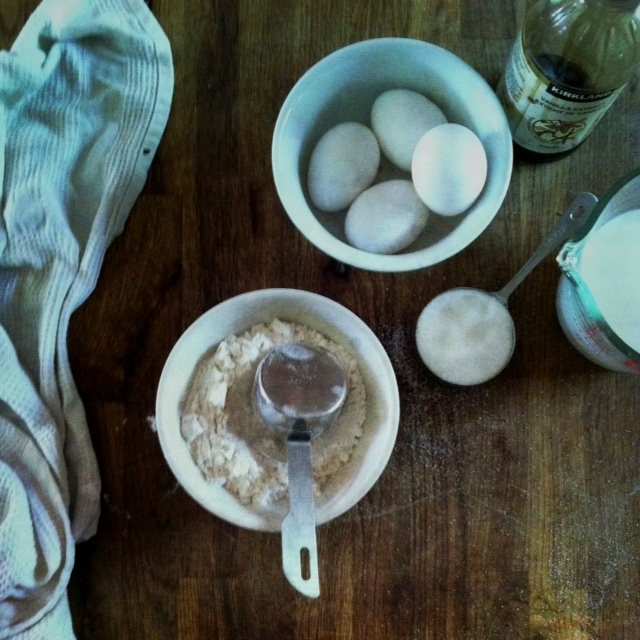 NOTE: for a lighter fare you can substitute half and half or milk for the heavy cream. 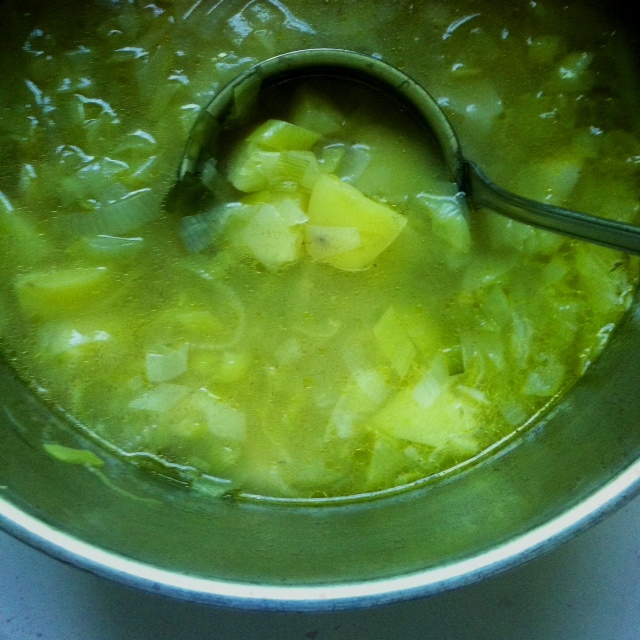 In colder days this soup is also delicious served hot. Going to the market toward the end of June can be a great source of inspiration. The sun is shining, the temperature is rising, and beautiful produce begin appearing on the shelves. 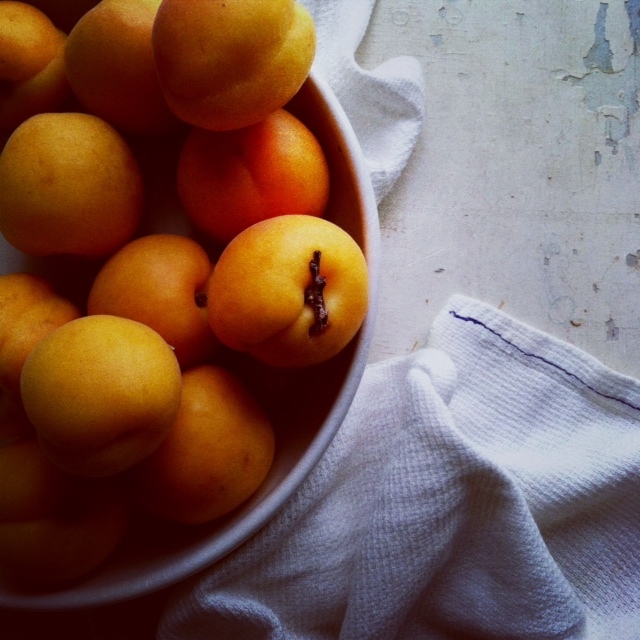 Among the cherries and local strawberries, one will find apricots. 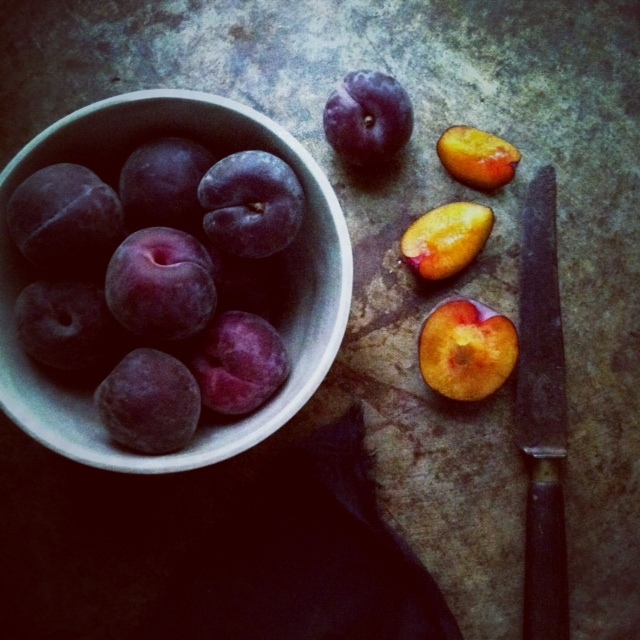 If you are lucky you might even find black velvet apricots. 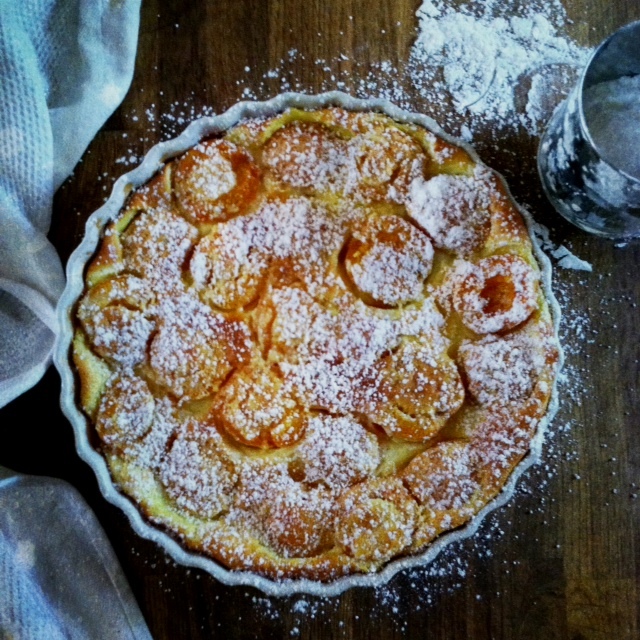 I cannot resist them: poached, grilled, simply cut in yogurt in the morning, and this time… a clafoutis. The best part about this dessert is that you make it in a blender… so easy and not a lot to clean up! My mother is a great baker and I grew up eating the classic clafoutis, one made with cherries. 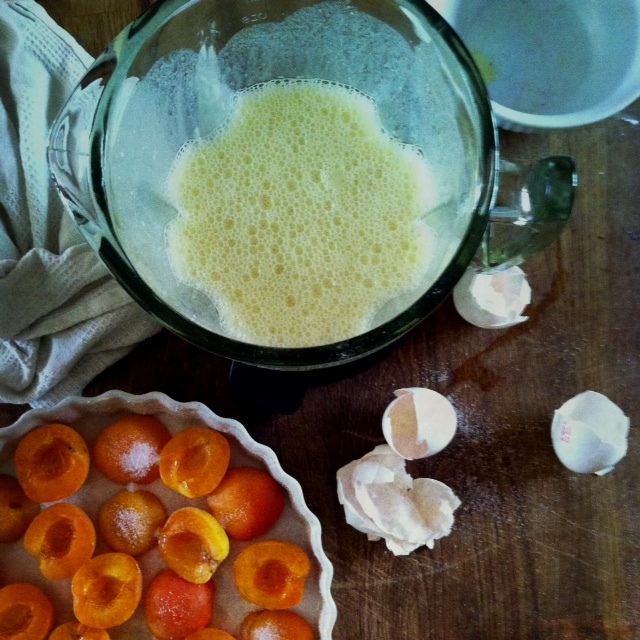 I am a bit more of an adventurous baker thus the apricots. Preheat the oven at 350 degrees. Butter a 10 inch quiche/tart pan 2 inches high (NOT a removable bottom tart pan). 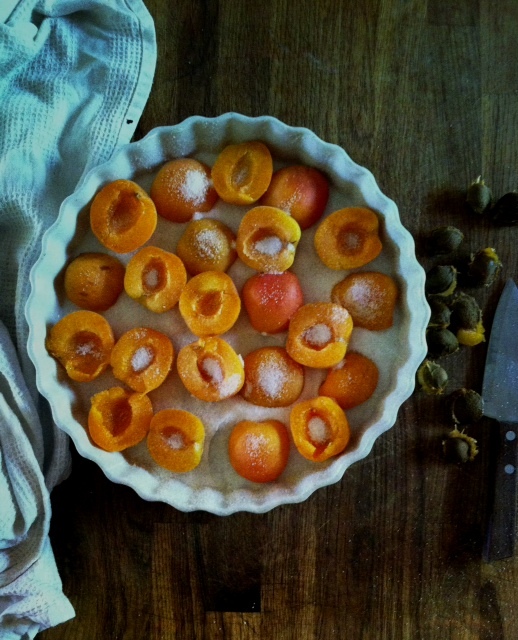 Line the bottom of the pan with the apricots and dust with the 2 tablespoon of sugar. Put the rest of the ingredients in a blender and blend on high for about 1 minute, until all the ingredients are blended into what will look like a homogeneous smoothie like substance. Slowly pour over the apricots (it’s ok if some of the fruits are not totally covered). Bake for 45 minutes in the middle rack of the preheated oven. When ready: the clafoutis should be golden, puffy and a knife inserted in the middle should comes out clean, let rest 10 minutes. Sprinkle with a dusting of confectioner sugar and serve. Clafoutis are best eaten warm or room temperature. NOTE: Experiment with other stone fruits : cherries, regular or italian plums when in season.